Facts and information about the History of Clothing and regalia of Native American Indians and the meanings of Headdress Feathers. Native American Indians are famous for their many different styles of headdresses and War Bonnets but few people are aware of the significance and meanings of the types and cuts of feathers that were included in a particular headdress. A feather that was cut in a certain way, notched, split or dyed red conveyed the history and exploits of the wearer that was immediately recognised by other Native Indians. Warriors were awarded feathers as the tribe's acknowledgment of acts of bravery and war honors. The history of traditional or ceremonial dress and regalia worn by Native American Indians is a fascinating subject. The following fact sheet contains interesting facts and information on Headdress Feathers. A feather set upright on the crown of the head indicated the capture of an enemy, one for every capture. A feather that inclined 30º - 40º indicated a Scalper and the wearer had taken one or more scalps. Feathers set low in the head indicated Leaders in battle. The headdress feathers worn by Native American Indians all had specific meanings. A feather could have a piece of horsehair attached, a feather could be painted red or have a red spot, a feather could be split into two, cut at the top or have a serrated edge. Each type of feather had a different meaning and would convey the history and deeds of the wearer. 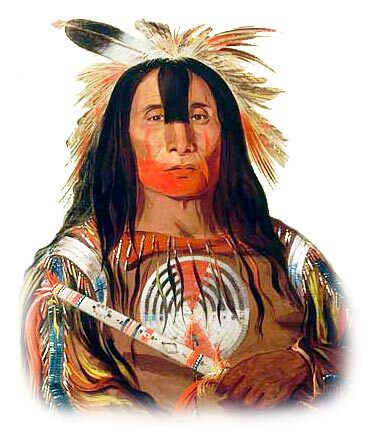 Feather Meanings Fact 12: Every time a Native Indian earned a feather, he would either wear it or he would display it on a pole for use in ceremonies and rituals. For additional facts refer to the articles on Feather Headdresses, War Bonnets and Roach Headdresses.